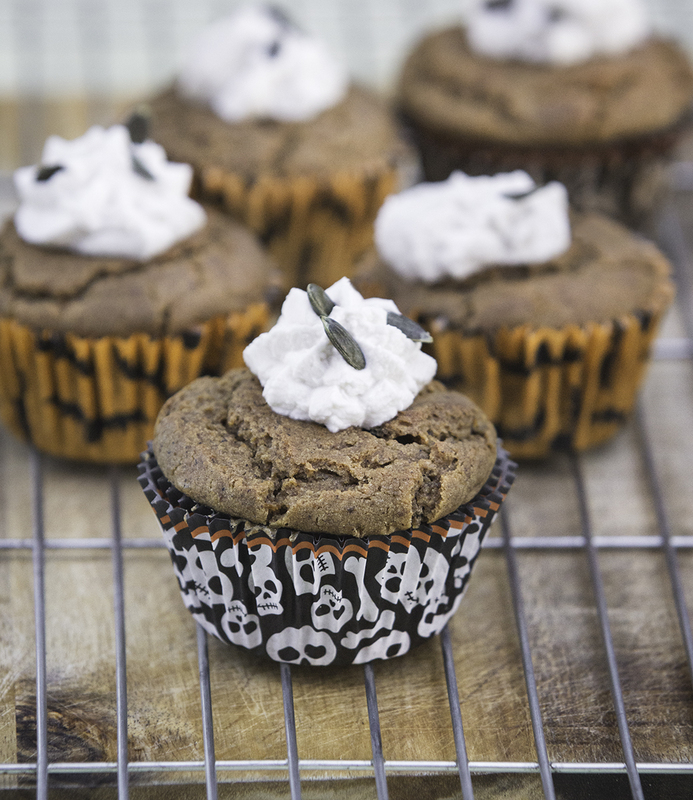 With their delicate hints of cinnamon, ginger and nutmeg, these vegan Halloween muffins are certainly aimed more at the adult pallet, but that doesn’t mean the little ones can’t enjoy them as well. 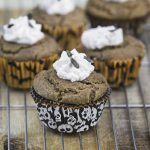 They also use the buckwheat flour to keep them gluten-free. Give them a try this year, or at any time over the autumn, just remember to keep them refrigerated. Cook the pumpkin flesh by either steaming it or putting it in the microwave with a little water and a loose lid. Microwave on 80% power for 6 minutes. Steam for 8-10 minutes until the flesh is soft. Drain and set aside to cool. Mix the flaxseeds with the water and leave for 10 minutes to form a gloopy mixture. Put all the dry ingredients into a large bowl and combine, then add the wet ingredients, including the flaxseed mixture and the drained pumpkin and blend together with a whisk until you have a smooth batter. Stir in the pumpkin seeds at the end. Line your muffin tin with the cases and spoon the mixture into each one until about half a centimetre below the top. Cook at the bottom of the oven for 25 minutes, until a toothpick comes out clean when inserted. Allow to cool and then either pipe or spoon the cream cheese on top. Decorate with some more pumpkin seeds. 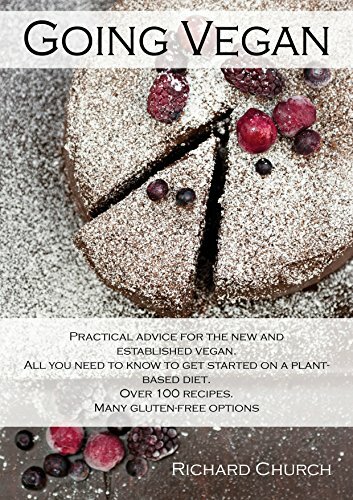 Going Vegan by Richard Church features over 100 plant-based recipes, many of which are gluten-free, as well as advice for the new and established vegan. Going Vegan is available to purchase on Amazon.